Customer relationship management (CRM) is a data-driven approach to tracking sales and customer interactions with the aim of improving sales team performance and visibility. A CRM system is the software that supports your company’s CRM strategies. The right CRM system for your business provides a secure cloud-based platform for storing customer information and communication notes, as well as powerful data insights into the processes and interactions underpinning your sales team’s performance. The term “CRM” is commonly used to refer to both the strategies and technologies used to effectively manage customer relationships. What is the difference between CRM and a sales CRM system? Look out when you’re reading about CRM! Because there are two CRM definitions, it can be easy to confuse them. Typically, the term “CRM” will refer to business policies and processes designed to consolidate, manage and analyse customer interactions and data. The ultimate goal of CRM is to highlight and utilise key areas where customer interactions can be improved to maximise retention and enable sales teams to effectively grow the business. Meanwhile, “a CRM system” refers to the technology (software) underpinning CRM strategies. It’s a small difference, but an important one. Without a CRM system in place to support your business’s strategic goals, collating and analysing data is a messy, unrefined and time-consuming task. An effective CRM system is used by salespeople to record information about customer relationships that can be automatically consolidated and reported on for the benefit of both salespeople and management. In today’s data-driven world, CRM and a powerful software system supporting it are an absolute must for any business trying to grow. What can a CRM system do? The core function of a CRM system is to support the goal of a business’s sales team. In order to do so, a CRM acts as a master tool for salespeople, providing a centralised and consistent database of customer information. It is a single repository for all the customer intelligence that is typically stored in a sales person’s head that can and often does go missing if they leave. Within a CRM system, users are able to access and record key customer information, keeping communications within the business efficient and creating more personalised experiences for your customers. A CRM system empowers your sales team to understand customers better than ever before, paving the way for new deals, cross-selling and upselling opportunities that are integral to growing your business. What essential features should a sales CRM system have? Contact management: One of the core uses of a CRM system is to help your sales team manage their prospects and existing customers. Your CRM should enable staff to access, update and categorise customer information intelligently. Call Planning: A key factor in any role is effective time management, this applies particularly to sales staff who reap the benefits of planning (in advance) where they will go and who they will see in order to maximise their time in front of customers. Integration: Efficiently importing data from an enterprise resource planning (ERP) or other existing software is crucial for a CRM system to be effective. ‘Cleaning’ existing data prior to integrating with a CRM system is essential so the sales team have the correct information at their fingertips. Inaccurate data will create instant pushback from any sales team. Remote access: It’s vital your team can access and update customer information out in the field with a cloud-based CRM. Automated sales reporting: Manual reporting no longer makes the cut in today’s fast-paced, multitasking workflows. Your CRM system should remove tedious administration and report drafting so management and salespeople can all focus on their core competencies. Ease of use: Your sales team need to be able to focus on their customers. This is hard to do when their attention is taken up by operating a complex CRM system. Opting for a stripped-back, simple but powerful system ensures your salespeople can keep to the task at hand. Why does my business need a sales CRM system? There are so many benefits a powerful, easy-to-use CRM system can bring your business. Why else would 91 per cent of businesses with more than 11 employees employ the use of a CRM system, according to Business.com? Personalised and consistent messaging: All information in your CRM system will be accessible and consistent for those you decide need access. This means all communications with your customers are made with the most up-to-date information, even when accounts change hands or staff leave. 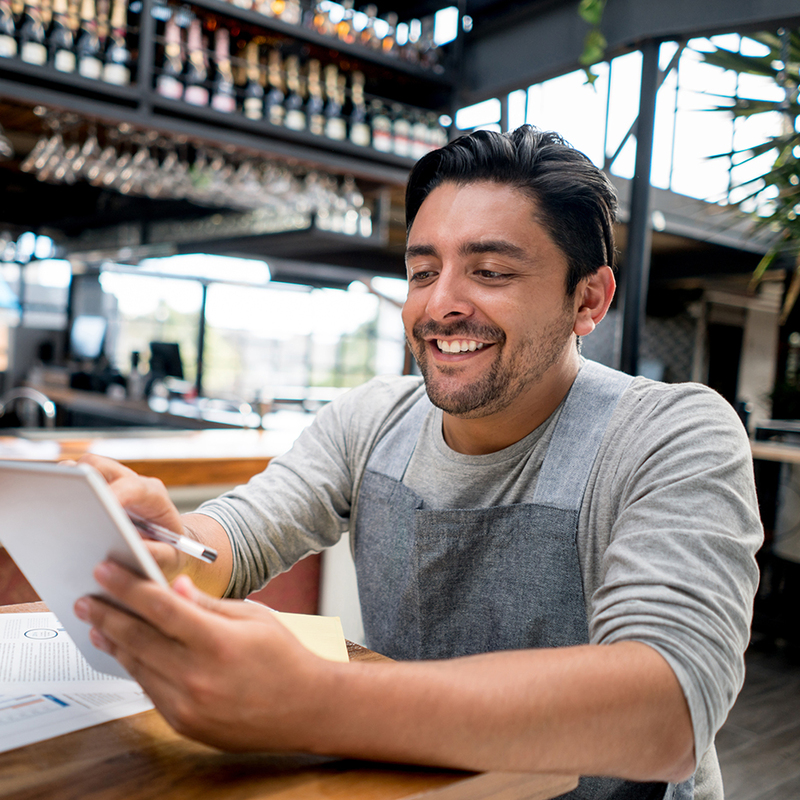 Intelligent customer insights: Up-to-date and historical customer information shows how your customers are engaging with your business across any channel. This insight into your customer behaviour helps your sales team communicate with them in the most engaging way. Efficient, automated workflow: With essential reports automatically generated by your CRM, salespeople are better able to focus on nurturing customer relationships. Data-driven decision making: Intelligently generated reports that can be exported into easily accessible file types allows visibility of sales performance and customer behaviour. Streamlined processes: A CRM system should act as a turnkey solution for your sales team, providing them all the tools they need to help your business thrive at all times. Return on investment: A Forrester report suggests the right CRM system can provide ROI as high as 245 per cent. How do I choose the right sales CRM system for my business? Choosing the right CRM system comes down to the needs of your salespeople and your business. There are a number of factors that should be considered to ensure your CRM system meets your strategic objectives. Cost: The CRM market has grown to be enormous – there are plenty of options but not all of them are cost-effective. Look for a CRM that respects your bottom line and covers all the necessary tasks. Simplicity: Major CRM systems have become excessively convoluted. Ease of use is the most in-demand feature of a CRM system, according to InsideCRM. Overly complex tools can quickly distract or overwhelm your staff, impacting adoption rates. Security: A secure cloud-based hosting platform is vital to reduce the risk of data breaches or loss of critical information. Support: Tech difficulties can happen to even the most proficient users. A competitive CRM will offer highly personalised, hands-on training solutions and ongoing tech support to ensure you get the most out of your CRM. Ideally, local support works best. 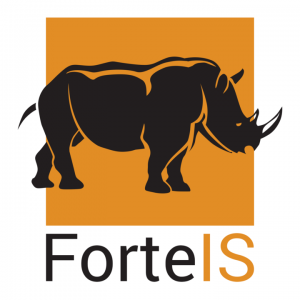 Rhino is a stripped-back, powerful CRM system designed by the team at ForteIS. Its straightforward user interface and flexibility make it a favoured option for busy sales professionals. We should know – we use it too! To find out more about Rhino, request a demo today.